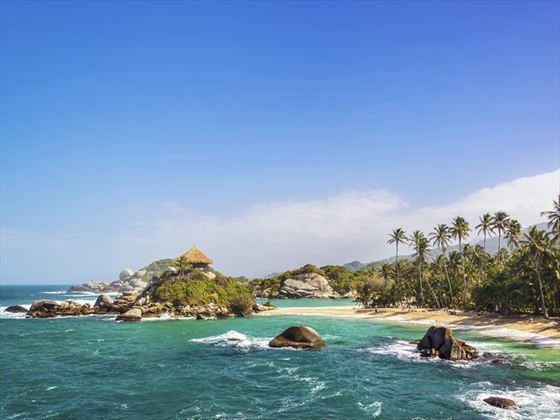 Discover everything vibrant Colombia has to offer on this fabulous seven-night small group tour. 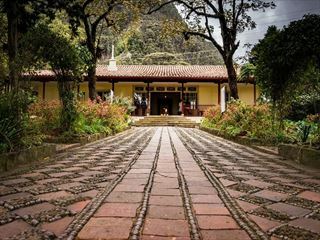 Starting Bogota and ending in Cartagena, you'll discover verdant coffee plantations, bustling cities and towns, and a foodie scene that's flavourful and delicious. 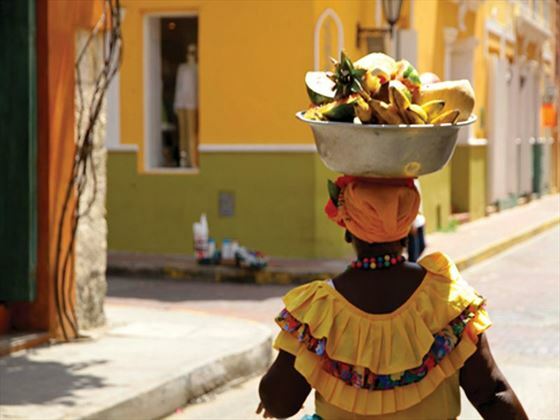 The biggest enticement of Colombia is its diversity. 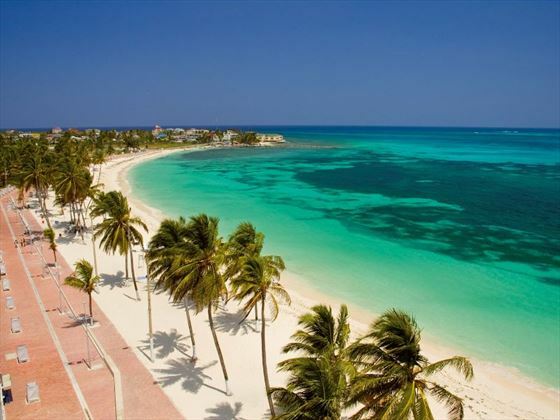 You’ll struggle to find many places that are home to such a varied landscape, with golden Caribbean beaches stretching in front of luscious jungle, tropical grasslands adorned with coffee plantations, and the soaring Andes Mountain as the backdrop to sparkling alpine lakes. Of course, that means that this is an adventurous destination too, with climbing, rafting and trekking adding an adrenaline rush. 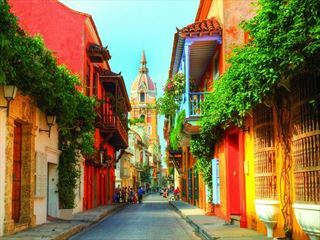 Colombia has a rich colonial history, and many of the cities and towns here transport you back to this fascinating era. Barichara and Mompós are two of the most authentic, with beautiful cobbled streets and a sleepy atmosphere. 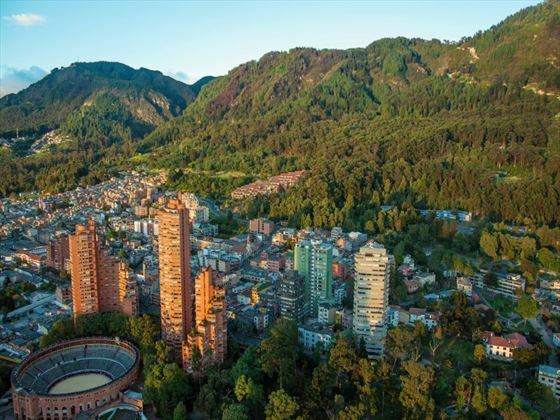 Medellin and Bogota, on the other hand, are cities reborn – still retaining their colonial charm, but also offering vibrant art and food scenes with their restaurants, boutiques and craft breweries bringing the streets to life. Bogota has even gone as far as decriminalising graffiti to entice artists to bring their talents to the streets – resulting in amazing murals covering the offices and municipal walls. Cartegena is the most well-known city in Colombia. You may have seen photos of it before - its rustic colonial architecture painted in incredibly bright yellows and blues is hard to miss. The balconies are draped in colourful bougainvillea, and the huge churches and dazzling Caribbean coast add even more charm. 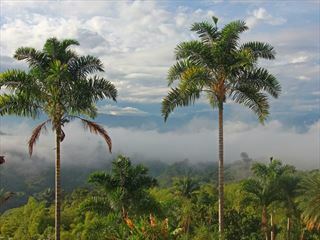 Naturally, the thought of Colombia conjures up the idea of rich and sumptuous coffee beans, and whilst much of it is deported elsewhere, if you venture to the Zona Cafetera you’ll find acres of remarkable coffee plantations, where you can learn more about the process and sneak a taste of the real deal yourself. Don’t forget the fruit here either though, whether you tuck into guava or dragon fruit from the local market, each bite is a ripe taste sensation. 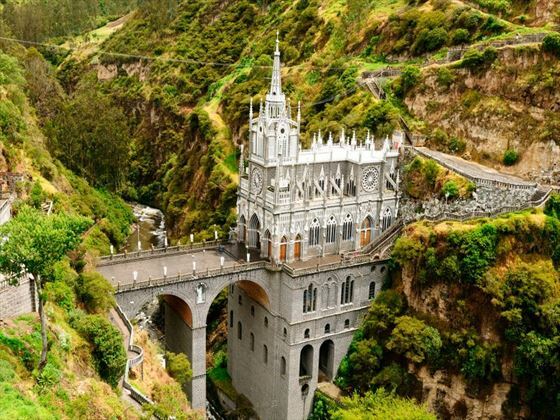 Colombia is steeped in fascinating culture, too. Discover the Ciudad Perdida, the country’s lost city home to amazing sculptures that many historians say were tomb guardians. Or, explore the underground salt cathedral in Zipaquirá, created with subterranean salt deposits back in 1954. Whilst in Medellin, you’ll notice Fernando Botero’s satirical sculptures dotted around the streets – beautiful, oversized subjects that are presented in exaggerated forms. Though off the beaten track now, this stunning, multifaceted destination is steadily rising as a more popular destination as the years go on. 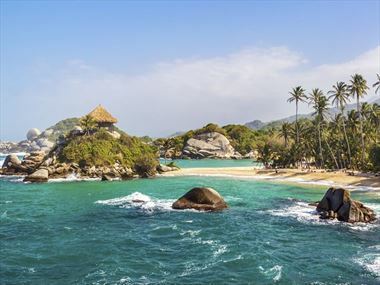 For a taste of authentic Southern American spirit, book your trip to Colombia today. 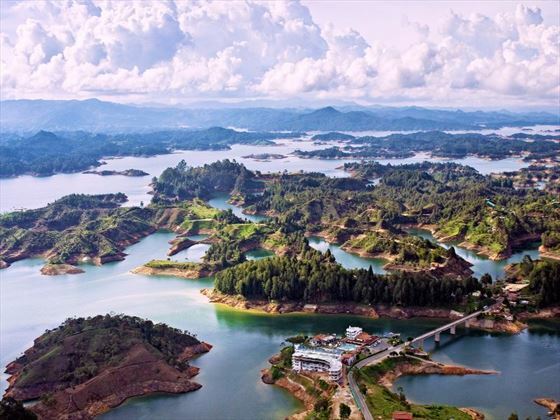 There are a wide variety of things to see and do whilst staying in Colombia. Check out our travel guides for some of the highlights, top tips and travel inspiration from our Tropical Sky Experts, along with some essential information you may need for your vacation.